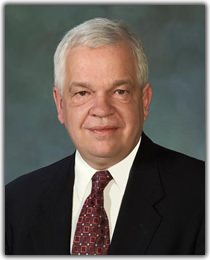 John McCallum, Lead Minister, Search and Rescue has extended his greetings on the occasion of the 25th Anniversary of the Canadian Coast Guard Auxiliary. It is with great pleasure that I congratulate the Canadian Coast Guard Auxiliary on a quarter century of helping to keep the waters of Canada safe, performing this vital role in co-operation with the Canadian Coast Guard and other search and rescue agencies. Even at its inception in 1978, the Canadian Coast Guard Auxiliary (CCGA) was a substantial organization with 700 members and 300 vessels. Today it boasts nearly 5,000 members and 1,500 vessels and responds to 25% of the thousands of search and rescue incidents that occur in any given year in Canada. As Lead Minister for Search and Rescue, I am constantly impressed by the quality of Canada´s search and rescue volunteers and particularly those of the CCGA. Indeed, Canadians everywhere are indebted to the men and women of the auxiliary for their exceptional work. Each one of the 4,000 lives saved by the members and volunteers of your organization in the past 25 years is a testament to the invaluable mission that the CCGA continues to pursue competently and unselfishly. Once again, I salute everyone associated with the Canadian Coast Guard Auxiliary. May you have a memorable Silver Jubilee Celebration and many more years of lifesaving.